After six years of marriage,Musician Muma Gee has filed for divorce from her Nollywood actor husband Prince Eke. 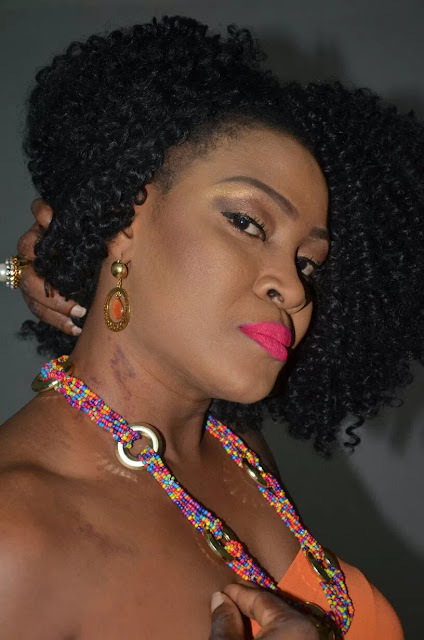 According to her publicist and close friend Don Saint, Muma Gee fears for her life and safety following series of death threats from Prince Eke, as collaborated yesterday in his post, that she should be prepared to rest in peace. 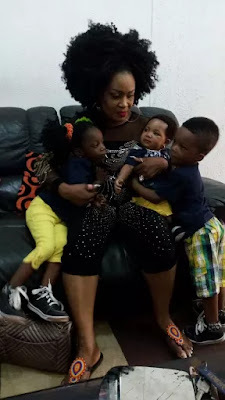 According to Muma Gee, he took the photos when she granted him access to see their kids at Sheraton hotel between the hours of 5pm-7pm same yesterday, and as soon as they parted ways, he took the photos immediately and posted on the internet, thereby creating the impression that she abandoned her kids while he was just seeing them in months, neither did he call to ask after their welfare until the 24th of Feb. 2017. Unknown to her his plan was to get the photos for his post, according to Muma Gee.